The Theatre Royal Hotel in Kumara is a lovingly restored gold rush hotel with unique themed accommodation and a warm, Victorian atmosphere. Lovingly restored gold rush hotel with unique themed accommodation and a warm, Victorian atmosphere. Originally build in 1876 during the last great gold rush the hotel was the meeting, entertaining and playing place for miners who had arrived in Kumara from around the world. Today it is an award winning hotel with full bar and excellent restaurant facilities. We can cater for functions, weddings and small conferences. 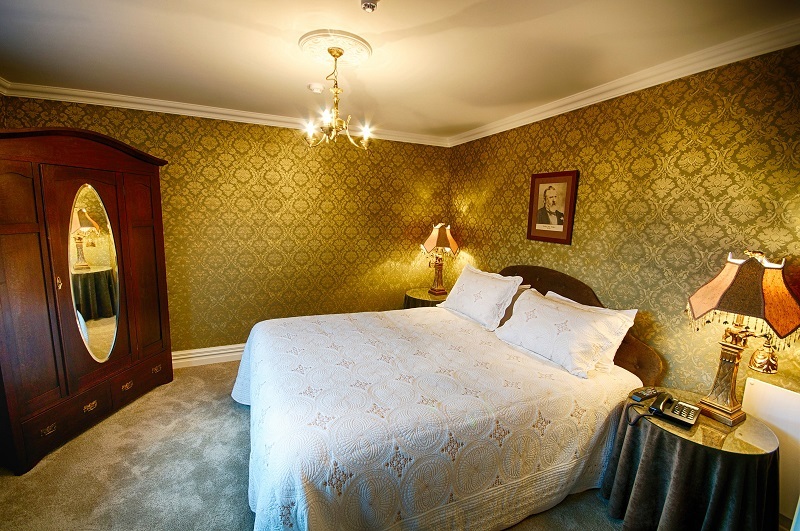 The Theatre Royal Hotel features six themed rooms all with ensuites. If you are cycling the West Coast Wilderness Trail we welcome you to come and see why our West Coast hospitality is so renowned. Shuttles for cyclists can be arranged via Wilderness Trail Shuttle and the Hotel provides breakfast, packed lunches, a lockable bike shed and a private lounge for our guests. 2013 the Hotel won the National HANZ Award for Excellence as the Best Renovated Hotel/Accommodation in New Zealand. 2014, the Theatre Royal Hotel won the HANZ Award for Excellence as New Zealand’s Best Country Hotel. 2015 Theatre Royal hotel featured in the Lonely Planet Guide. 2015 Theatre Royal Hotel won Trip Advisor Excellence Award. 2015 Theatre Royal Hotel won Booking.com Excellence Award.